Turbitt & Duck: The Library Podcast is hosted by Sally Turbitt and Amy Walduck. Sally and Amy are librarians from Australia who are passionate about sharing stories from libraries and beyond. On our podcast you will hear stories from amazing people who do amazing things in libraries and beyond from Australia and the rest of the world. Sally Turbitt is the NSW State Manager for the Australian Library & Information Association. Sally is an extrovert and creative thinker who is passionate about digital literacy, information sharing and discovery, meaningful customer service, personal development and building teams that are resilient and collaborative. 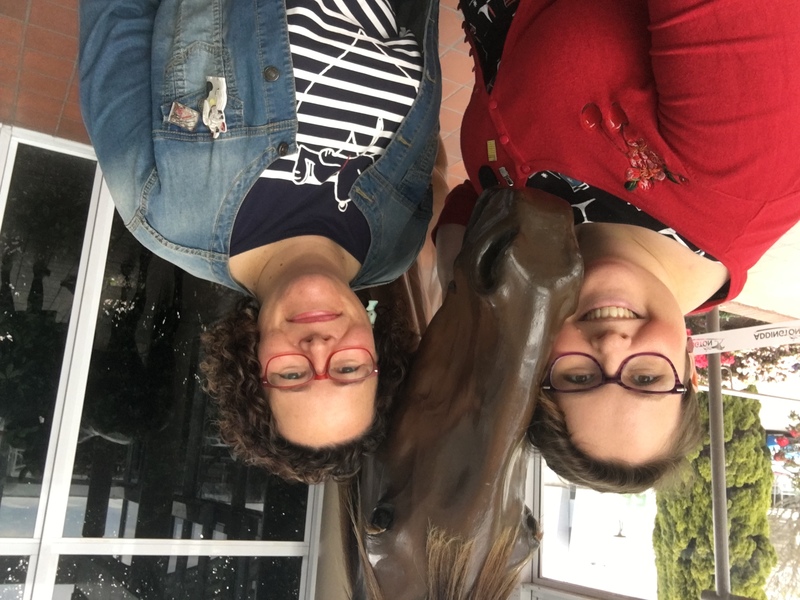 Sally co-convened the 8th New Librarians’ Symposium (2017), was the project manager for the inaugural Central Coast Local Health District Research Symposium (2016) and the back half of the Nativity donkey for four years in primary school. Chat with Sally on Twitter and visit her website. Amy Walduck is a librarian based in Brisbane with her own library consultancy business PINEAPPLE GLAM which focusses on customised learning and development opportunities for libraries and library people including career advice, job help and workshops. Amy has a broad range of experiences working in state, academic, special and public libraries. Amy is passionate about trying new things, getting involved and designing her own career. She is a librarian, an extrovert, a creative and her personal fashion style can be described as toddler-grandma. Her interests lie in entrepreneurship, community, professional development, social media and advocacy for libraries. Amy was co-convenor for the ALIA New Librarians’ Symposium 8 “DIY Library Career” (2017) and IAML Australia’s National Conference “Local History, Local Music” (2016). She was also a founding committee member of the Picture Book Book Club celebrating the awesomeness of picture books. Chat with Amy on Twitter, Instagram and visit her website PINEAPPLE GLAM.